Dialogue : Where is the station? Reconstituez les phrases de ce dialogue formel. 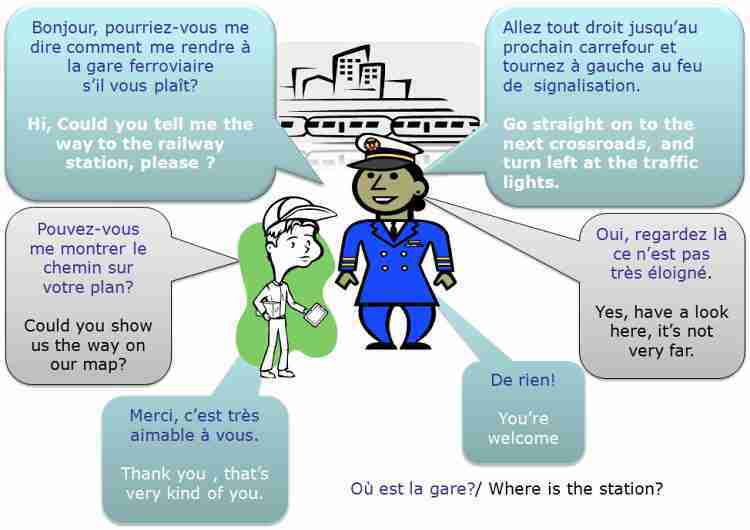 End of the free exercise to learn French: Dialogue : Where is the station?